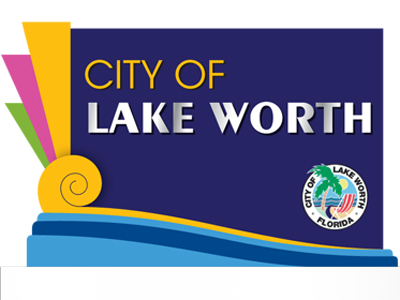 The CRA and City of Lake Worth recently joined forces to complete the City's first Wayfinding Plan. For many years, community and business leaders have requested a comprehensive wayfinding project to promote downtown Lake Worth, points of interest and the historic neighborhoods. Wayfinding is defined as "a consistent use and organization of definite sensory cues from the external environment". An effective way-finding plan can act as a vital tool of economic development in any size city. A high-functioning wayfinding system makes the area "legible" and enhances a visitors' experience as it increases their comfort, builds their confidence, and encourages them to discover unique events, attractions and destinations on their own. Additionally, wayfinding is what people do when they travel to and through a city. Wayfinding plans involve the science and art of scripting an individual's travel throughout that area. The broader goal of an effective wayfinding plan should be to help people discover all of a community's distinct assets. The CRA is seeking grants to assist with the implementation of the plan.